With our infant food, quality and naturalness are always top priority - the best for your child. 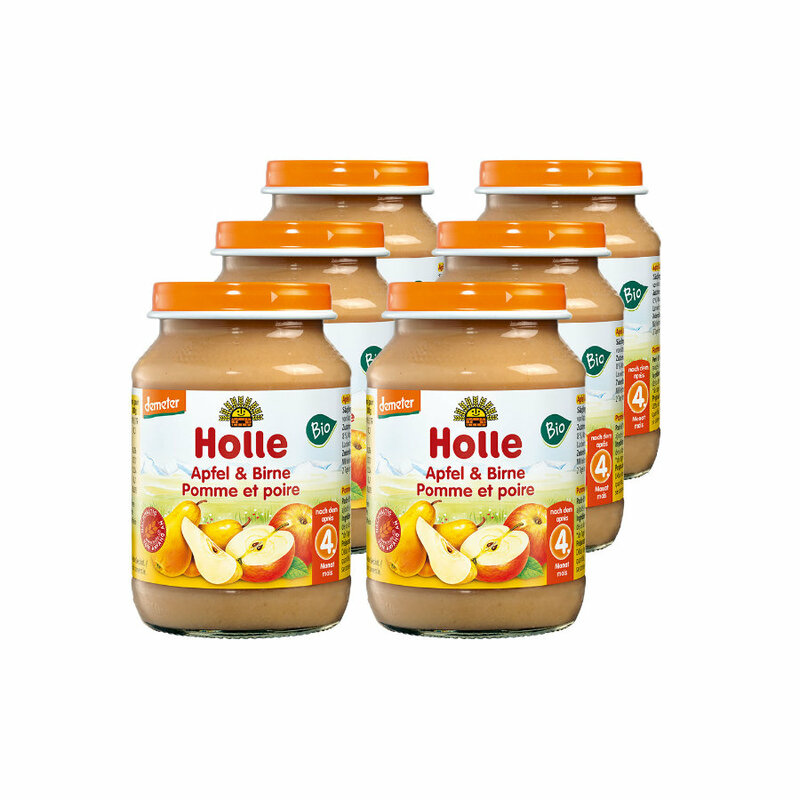 Therefore, HOLLE offers baby food from best organic cultivation to set the foundations of a healthy diet ‘right from the start’ - as we have been doing for more than 75 years. We rely on our experience and current scientific findings on nutrition. Holle Baby Jars are produces with no added sugar or salt, without thickeners, yeast, egg, milk and milk components (milk protein, lactose). Easy to prepare. Stir before feeding. Keep in refrigerator after opening with re-closed lid. Consume within 2 days after opening. The ingredients used for baby food come from organic farming. Food with Demeter label come from organic farming. Demeter farmers guarantee the holistic quality of their products. The EU Organic Logo guarantees organic farming according to legal definitions, but also the careful processing of the raw materials used. • at least 95% of the ingredients come from organic production. Food with organic labels are among the products with the highest legally protected food standard.